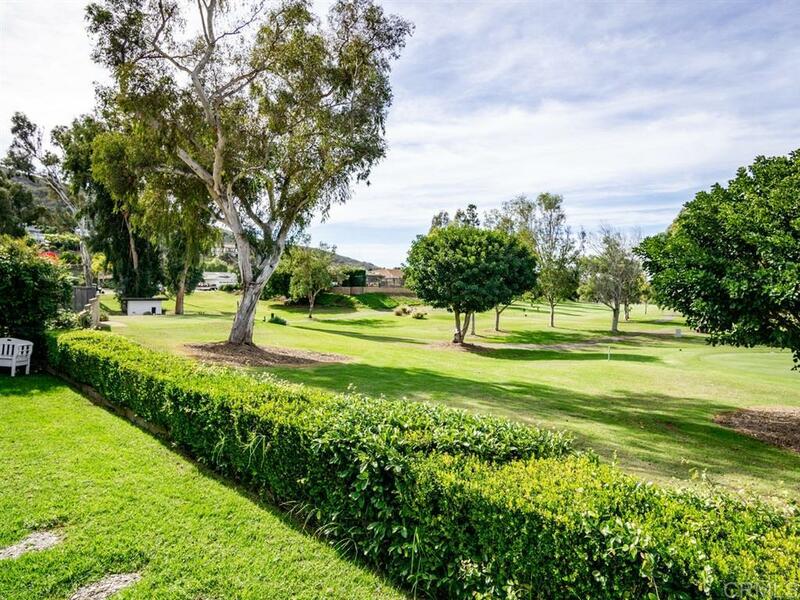 Preferred location, open floor plan and exceptional golf course views. This home has 3 bedrooms (huge master suite with sitting area, amazing mst. bath with separate shower, jacuzzi tub, two vanities, 16x9 walk-in closet)and 2.5 baths. Open with great room feel includes living room, dining area and kitchen....great for entertaining. Kitchen has granite counters, garden window, Bosch appliances and walk-in pantry. Canned lighting throughout, beautiful corner fireplace in LR, inside laundry, French doors +, Plantation shutters, water filtration system, refinished garage with extra storage area for golf cart, hobbies, toys, etc. Great neighborhood, exceptional location of 3rd hole of St. Marks Championship Golf Course. Panoramic views. Enjoy all Lake San Marcos amenities; boating, fishing, tennis, paddle ball, two pools, various clubs and organizations to belong to, plus more. Two golf courses. Only 15 minutes to the Beach, 35 minutes to San Diego. Located close to two major freeways. CDC Lodge Lease only $600.00....no HOA or Mello-roos. Priced below comps for a quick sale. Great home, a Must See.